We sit at about two weeks out from Christmas with lists and requests from our kids, wives, husbands. If you have a child or husband that is into gaming, and is looking to see what they may want out there, here is a quick guide of what we think are the 5 best gaming laptops on the market. So let’s get into it. 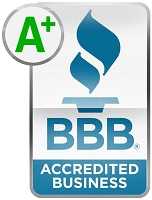 We are going with Lenovo, Dell, MSI, Acer and Asus Republic of Gamers devices as the overall best value for your $1,000 dollars. All of these laptops have a few commonalities. They all have a 15.6” display, a Skylake i7-6700HQ Intel Quad-Core processor, and a NVIDIA 960 GTX M graphics card. So aside from the specifications, it really comes down to the finer details when selecting a laptop at this price point. Though the list could get quite long the top reasons are: aesthetics build quality, display, battery life, keyboard, value, speakers and ports. Up first there is the Dell Inspiron i-7559 in gunmetal grey with a 16.6” UHD Touchscreen for $999. This is the only touchscreen that we will discuss and also the only one that has a 4K display. These two unique features immediately set this laptop apart from the pack. It weighs in at 5.89 pounds and is only 1” think. It is the heaviest laptop in the group but that’s in part to the 75 watt hour 6 cell battery pack. This battery should get about 5-6 hours of casual usage. This is a pretty big battery for gaming laptop. That is good because when gaming batteries tend to die pretty fast. Gaming is best done at the 1080p resolution and given the specs it just can’t keep up with 4K gaming graphically speaking. It has a decent build quality although it is plastic, but that being said, what we really think this sets this laptop apart is the touchscreen and the 4K display. 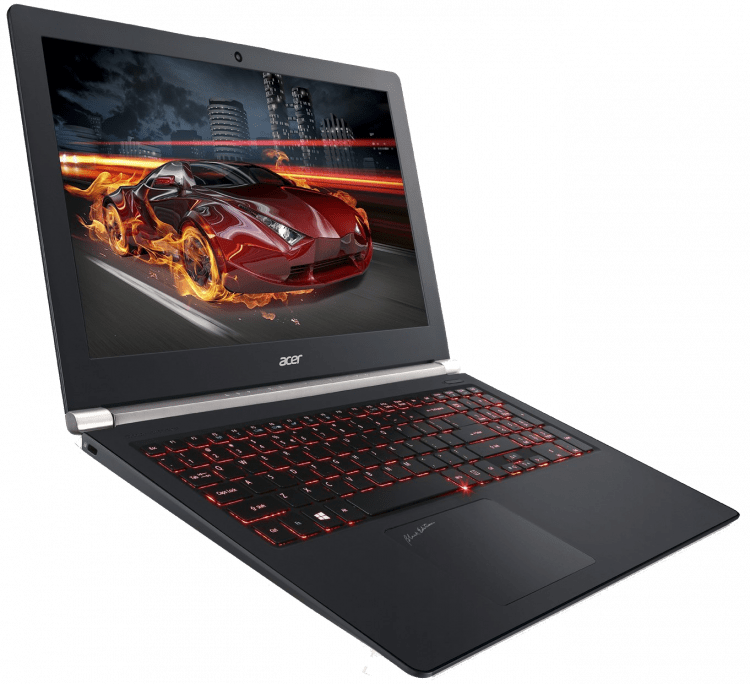 If these are features that you want in your gaming laptop, this is the one to go with. Up next is the MSi GL62 6QF-893 15.6”. 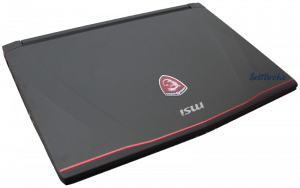 Initially this MSi caught our eye due to its storage options. 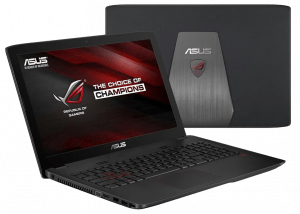 It has a 7200 1TB mechanical hard drive as well as a 28GB solid state drive which would be the life of video editing and will add to the overall happiness and performance of your laptop. It also has 4GB of DDR4 RAm with room to add more . Expect a nice quality keyboard from Steelseries. But for whatever reason they did not engineer in a backlit keyboard. This is probably not a deal breaker if you’re going to end up using an external gaming keyboard anyhow, but it is an oddity to overlook n a gaming laptop. It has four 2-watt Nahimic speakers and software that set to give an immersive surround like experience while gaming. 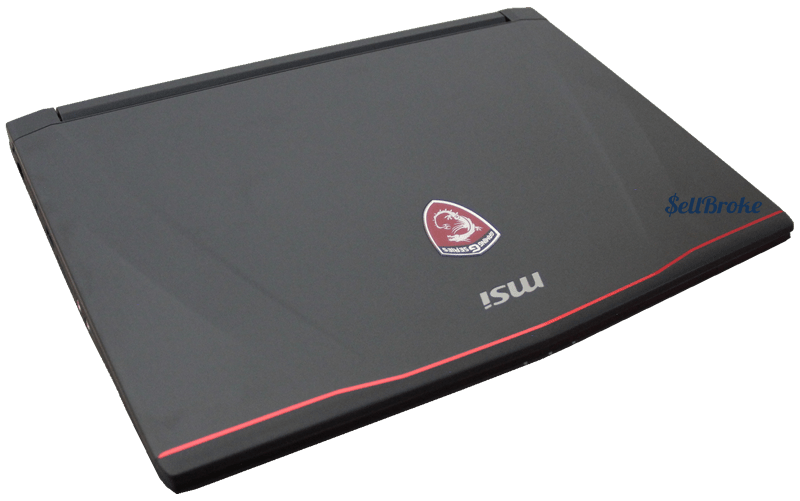 The MSi has a metal top and a plastic bottom and are always very aesthetically pleasing. All around this is a very practical choice. Up next on the block is Lenovo and their gaming laptop Y700 with 1TB of hard drive. This Lenovo prices out at about $1,029. Lenovo always seems to have sells and can picked up for a touch less if you have the patience to look around the web a bit. The highlights for this laptop is actually the sound system. It has JBL Audio with a JBL sub-woofer on the bottom. So this machine has the best sound out of the 5 we’re discussing. The Lenovo has great colors that are very vibrant with its 1080p IPS display that yields very little light bleed along the edges. The construction is also top-notch on this laptop having both an aluminum top and bottom that gives it a nice cold feel to it. Yeah, it picks up a ton of fingerprints, but it is much more sturdy than the plastic soft-touch materials. It also has a 60 watt hour 4 cell battery so expect 5-6 hours of casual usage as well. It’s about the same size as the others mentioned here. And all-in-all is a very nicely constructed laptop with great audio too. 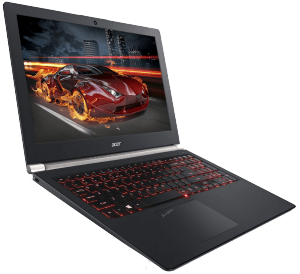 Acer put together the Aspire V15 Nitro Black Edition coming in at $925 and the cheapest of the bunch. It also is the thinnest and lightest weighing in at 5.1 pounds and only .09 inches in height. For the exterior it has a nice texture plastic for the top lid and a soft-touch plastic bottom plate. They also decided to keep it current and keep a backlit keyboard. As far as audio is concerned they have four 2 watt speakers as opposed to the industry standard of two 4 watt speakers. As far as storage it’s rocking a 1TB 5400 RPM mechanical hard drive and of course the 15.6’’ IPS display. The one drawback may be the 52 watt battery that contributed to the lighter and thinner aspect of the device but also really cuts into the battery time. 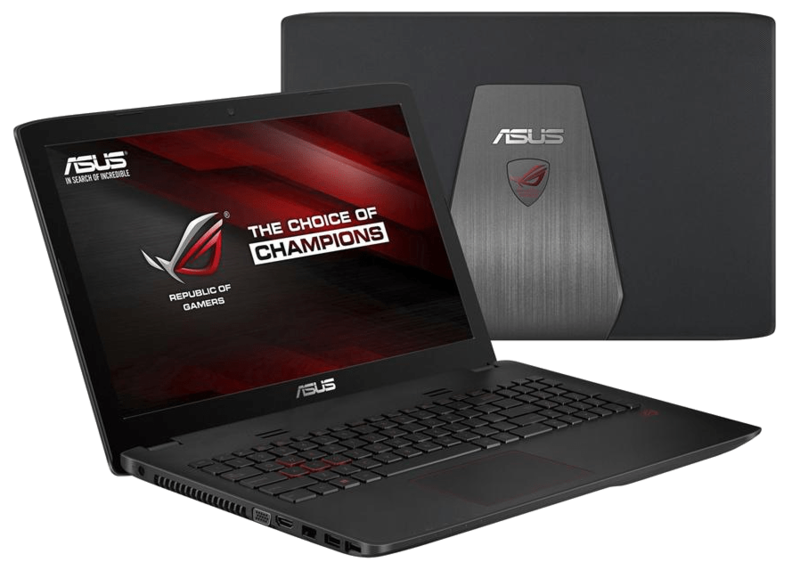 Last but not least we have come to the Asus Republic of Gamers GL552VW-DH71 with 16GB of DDR4 RAM and a 1TB hard drive for only $979. It has a really nice metal top, plastic bottom and a removeable 48 watt battery pack. Again it’s not the best battery pack but it can also be taken out and recharged. This laptop also comes with a DL DVD +/- RW/CC-RW drive that the others don’t come with. It has a red backlit keyboard and weighs in at 5.6 pounds and 1.3” in height. The best thing about this Asus is its appearance and construction. The metal top lid just looks really cool with its ROG logo and dynamic lines. Overall it’s a solid well-rounded offering at $979. In conclusion, everyone has their own interests at heart when it comes to deciding which is best for them. If you’re not sure which one to get as a gift just ask the person you’re buying for what they find to be the most important like: battery life, looks, weight or portability. They will certainly tell you what is most important to them. 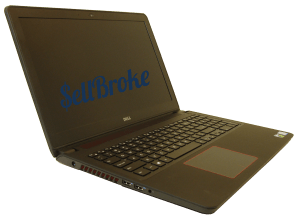 You still have time to sell your laptop and get extra cash for the new one. 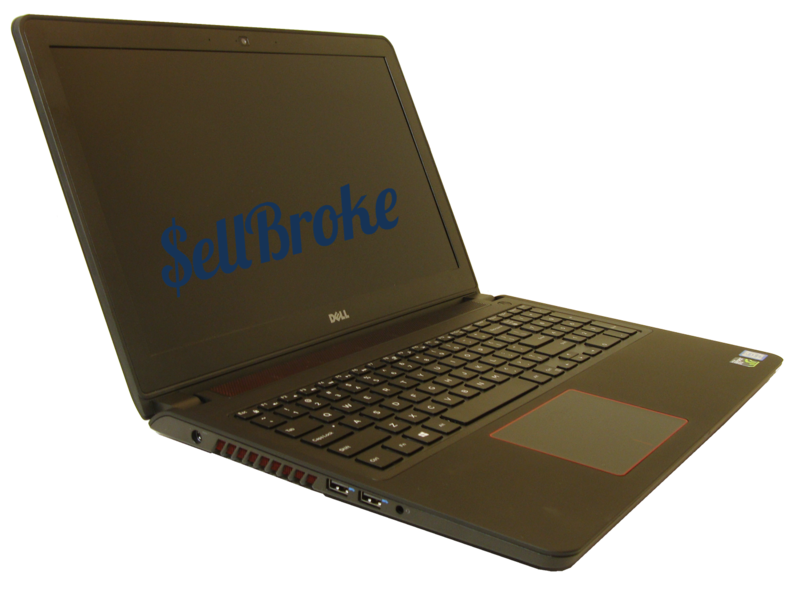 Sell Broke buys broken laptops as well.